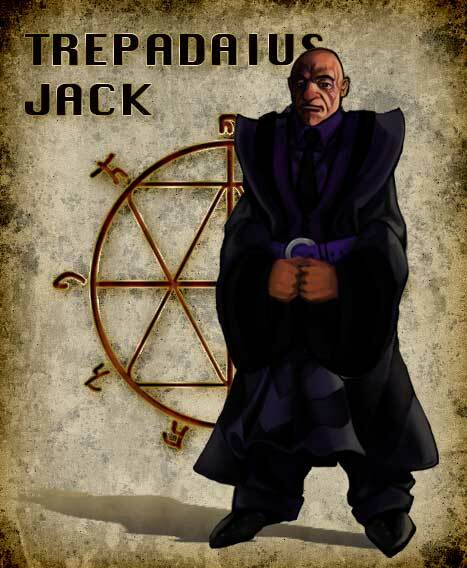 TREPADAIUS JACK, Leader of the Pathfinders, Alderman of the Black branch and protector of the Imperial Church, a man driven by loss and a friend of fear. He believes in the greater good, is moved by divine inspiration and is highly motivated. The Empire must survive and with the church guiding, it will.